The Hospital of the University of Pennsylvania Records were transferred to the University Archives between 1993 and 2009 from various offices; including Nurses’ Alumni Association (2004:018, 2004:003, and 2009:026), Finance Business Office (2000:079), Information Systems & Technology (2000:083), Managed Care (2000:026), Senior Vice President for Hospital Services (2008:036), and Pathology and Laboratory Medicine – Cytopathology Section (1993:095). The Hospital of the University of Pennsylvania Records are organized into five series: Administrative, Facilities, Information Systems and Technology, Managed Care, and Nursing. Each series is arranged alphabetically. The Hospital of the University of Pennsylvania opened in 1874 to provide a clinical environment for the University’s School of Medicine at its new West Philadelphia Campus. In the ensuing decades, the Hospital has grown to be major health care center for the city and region. 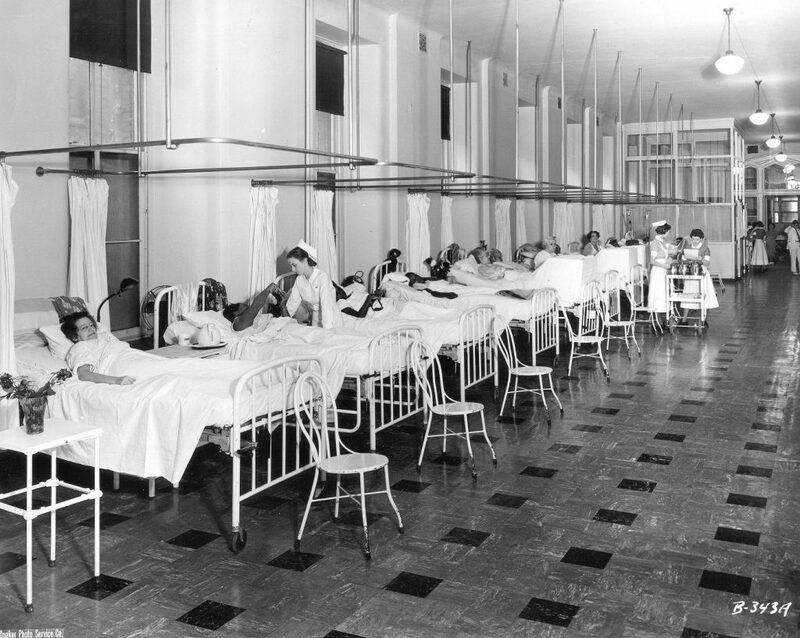 The Hospital of the University of Pennsylvania Records document the development and activities of the facility from 1891 to 2003. In addition to administrative activities, the records also provide insight into the Hospital’s handling of AIDS patients and the growth of managed care during the late Twentieth Century. In addition, the physical development of the Hospital in the early to mid-twentieth century is document – particularly the construction of the Ravdin Building. Some files are closed to research for twenty-five years from the date of creation. Hospital of the University of Pennsylvania. Administration. Eliason, Eldridge L. Photograph n.d. Patient Activity Projections Fiscal Year 1986 n.d.
Smith, Edgar Fahs Photograph n.d.